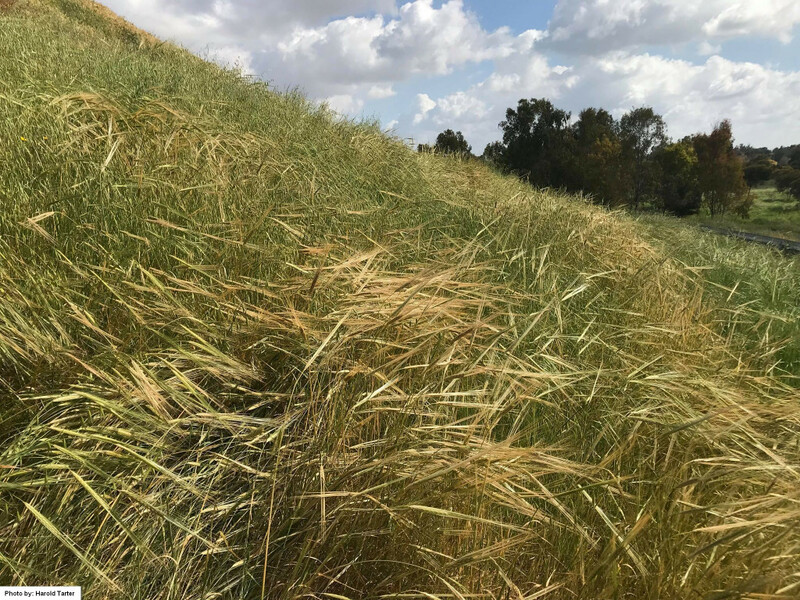 March 18, 2018The Aviv Search Team has spent the past few days inspected the barley crop in the Land of Israel to determine whether this year needs to be intercalated with a 13th month. We concentrated our search in the Northern Negev, Judean Hills, and the Jordan Valley, as barley ripens first in these regions. The barley in the Judean Hills and Jordan Valley was quite immature this year, while the barley in the Northern Negev was more mature. The most developed location we looked at in the Northern Negev had a good amount of patches of aviv barley. We also found some individual stalks at other fields. It is the unanimous conclusion of the participants, that we found enough aviv barley to begin the year with the upcoming new moon sighting. We praise Yehovah for the protection He provided us on our excursions. I also wish to thank each of the participants of this year’s Aviv Search for contributing your unique skills and perspectives, and coming together as a team to make this year’s search another great success. And a very special thank you to all of you who have chosen to be a part of restoring the Biblical Calendar by supporting our efforts, we really can’t thank you enough for your support. 2018 Aviv Search Participants: Devorah Gordon, Yoel Halevi, Harold Tarter, Willie Ondricek (Northern Negev only), Cari Tarter (Judean Hills/Jordan Valley only). I’m off to look for the new moon! 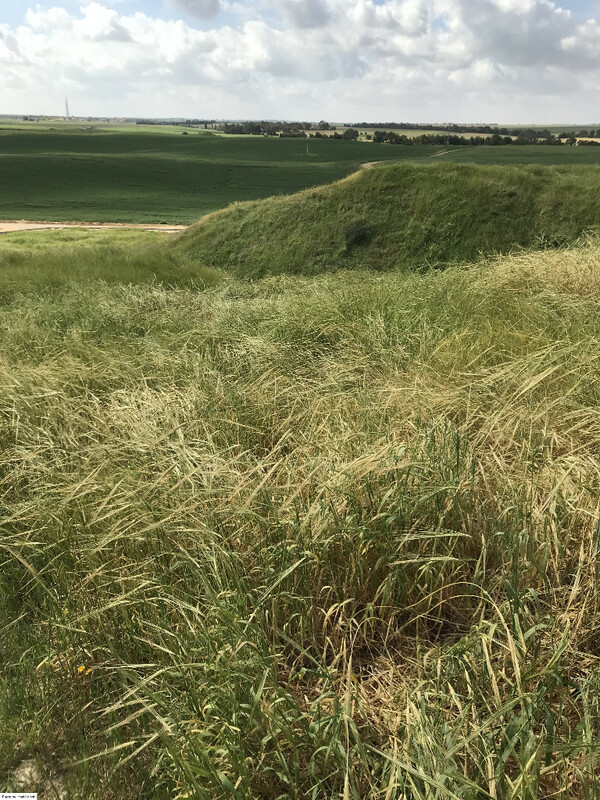 This entry was posted in Current Events, Feasts and tagged 2018 aviv barley, 2018 Biblical Calendar, 2018 Calendar by Natan Lawrence. Bookmark the permalink. By Yah’s grace, we hope to visit the Big Island next in hopes of seeing flowing lava and any other notable sights. Perhaps we’ll be able to visit you then. Not sure when that will be though. 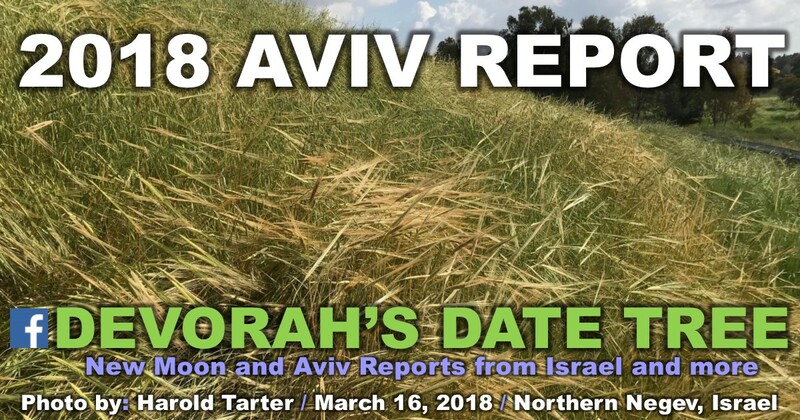 Since some are saying that Yom Terruah is actually next month, is it because the barley was not aviv in Jerusalem in March 2018? Technically, it is still summer. Please reply. Toda. I have no clue why some people would be keeping a month later. The barley was aviv. I believe that the Barley was verified aviv earlier this month and that the “jewish” calendar is mistaken, since the set apart days were already set by them years ago and not by the waiting on the Father’s signs. Please help me to understand then, on what day (gregorian calendar) do we start the new year? The barley was not found abib/aviv earlier this month. We have documented this fact on this blog. What was found was aviv wheat, NOT barley. Those who found it, after deceiving the folks, finally admitted that it was wheat and not barley. Moreover, those who found the aviv wheat anticipated or projected that the barley would be aviv in two or three weeks, but they haven’t actually find aviv barley yet. This whole thing has been very misleading and confusing mess to a lot of people, sadly. But if one wants to be believe the false reports, that is your prerogative. Probably nothing I say or do will change one’s opinion on this. For those who believe that we’re in the 13th month (called Adar Bet), and not the first month of the new year, this ministry has published free printable calendars that you can download from https://www.hoshanarabbah.org/calendars.html. They will list the dates for the biblical feasts based on the new moon and aviv barley having been found (not based on the presumption that it will be found). Blessings!